The answer to these questions and many others is always ‘Yes, Yes and Yes again’. In 2nd Corinthians 1:20 it declares: “For no matter how many promises God has made they are all ‘Yes!’ in Christ and so through Him the ‘Amen!’ is spoken by us to the glory of God.”. In his book ‘God is Good…he’s better than you think’, Bill Johnson expounds the truths of God’s goodness in his own and others lives. Ranging the gamut of truths from God’s initial intention for creation through to Jesus death on a cross, post resurrection acts of goodness still available to us today and prophetic declarations of how your future could be lived in his greatness. This book does not shy away from hard questions of God’s presence in the ‘not so good’ but remains steadfast in God as the incomprehensibly good and loving father we have with us at all times. With inspirational and relevant quotes from some of the worlds greatest thinkers (both secular and spiritual) and excellent wisdom and insight into God’s character and the concept of ‘in charge vs in control’ Johnson gives the reasons most of us don’t experience the ‘supernatural as our natural’. With so many pearls of wisdom my copy of this book is littered with yellow highlighter an grey lead notes and is at times more unreadable than my 2nd grade handwritting. With specific direction on how to handle our responsibility of faith and quiet trust in private before we see the public victory, this book is not for those easily offended and not looking to move from their status quo Christianity. 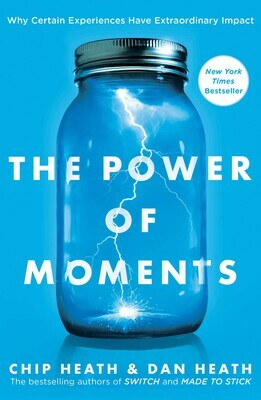 Published right around the time my family went from pure elation and uninterrupted praise at the impending birth of our first son to the heartbreaking loss of having him ‘bypass earth for heaven’, this book helped me move from grief to honour in the opportunity to ‘worship in the storm’. I can not recommend this book highly enough and would like to thank Kirsten Gourd for sending it to me during a really tough time. ‘God is Good’ is a eye-opening book that will help you build your life on the solid foundation of God’s goodness and experience new realms of supernatural thinking that bring Heaven to Earth, changing the atmosphere around you.